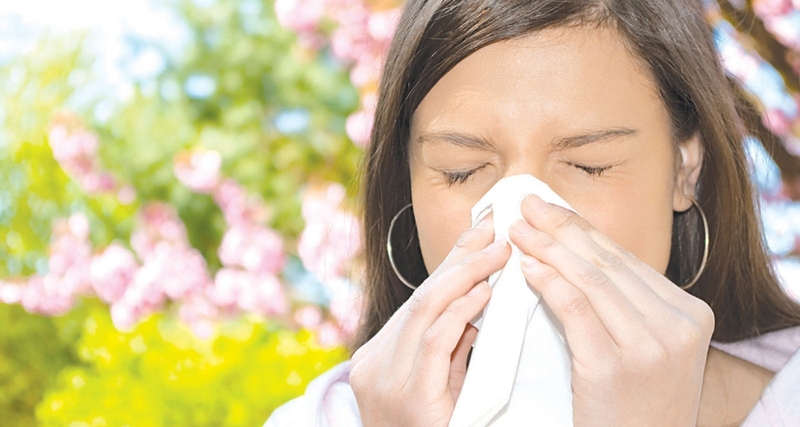 Suffering from allergies can be one of the most uncomfortable conditions you may experience. You need to endure eye or skin itching, runny nose, asthma and worst, anaphylaxis. Several classes of drugs can help you rid yourself from allergies. Some of them are the antihistamines, nasal decongestants, corticosteroids and bronchodilators. But do you know that allergies can be treated naturally? There are foods that contain phytochemicals that help allergies subside and make you feel better in no time. Listed below are 10 foods and drinks that you might want to include in your diet to fight those allergies. Eating one to two servings of salmon, sardines, tuna or mackerel per week can help minimize inflammation from allergies because of the omega-3 fatty acids they contain. A study conducted in Australia suggests that fatty fish can help allergies go away. It says that eight-year-old kids who had fish at least once a week were 80 percent less likely to experience ryegrass pollen allergies compared to those who seldom ate fish. Using fresh garlic as a seasoning can help strengthen your immune system when experiencing hay fever because of the antioxidants it contains. You may also have your daily dose of garlic by cutting a whole clove of garlic into several chunks and swallowing them like oral medicines. The gastric acid present in your stomach will digest these chunks while slowly releasing the antioxidants. Researchers have studied that high level of antioxidants in the body helps prevent hay fever. Have you ever thought that onions can fight allergies? Do this by sprinkling raw onions on your favorite salad, stew or even to your burritos! Onions contain quercetin making it a member of the foods that help allergies subside. Quercetin is an antioxidant that lessens inflammation and prevents mast cells from releasing histamines which cause allergies. This antioxidant increases ascorbic acid absorption in your body. Ascorbic acid is a vitamin that strengthens your body’s immune system. Quercetin can also be found on apples’ skin, berries, red grapes and black tea. Adding one to two cups of yogurt on your diet will surely keep those allergies away. The good bacteria found in these kinds of foods serve as “food” on your gut’s normal flora which protects your body from reacting with allergens. One research says that among their subjects, those who took 2 cups of yogurt daily had lesser hay fever symptoms compared to those who didn’t. Probiotics is also recommended for soon-to-be moms. Yogurt is also able to help allergies stay away from the babies as they grow up. Foods rich with vitamin E can prevent hay fever according to studies. A study conducted in Germany used 1,700 adult subjects with and without hay fever. According to the results, the subjects who had 10 to 13 ml per day of vitamin E on their diet had 30 percent lower incidences of hay fever. This vitamin can be found on green leafy vegetables, whole grains, nuts and avocados. So why not serve these foods on your dining table? Adding herbs on your meals is also a great way to fight those allergies. Herbs such as sage, marjoram, oregano, rosemary and lemon balm contain rosmarinic acid in their leaves. According to a study conducted in Japan, this acid is extracted from the plant’s oil and it was proven to have anti-inflammatory properties. Turn your ordinary meals into foods that help allergies go away by seasoning your dishes with fresh herbs or by serving lemon balm tea. Ascorbic acid or Vitamin C is not only known as an immune system booster but also as a good antioxidant that gives relief from unwanted allergic reactions. Taking your vitamin C from synthetic supplements is not recommended. Health practitioners suggest that you take your vitamin C from the foods that you eat. 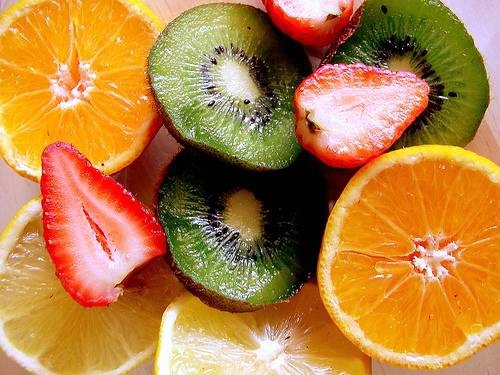 There is a wide range of foods rich with vitamin C that you can choose from. Starting off from fruits like strawberries, oranges, red peppers to vegetables like broccoli. Histamines are endogenous chemicals released by your body during an allergy attack. Taking a cup of tea, especially green tea, (with or without caffeine) when you get up will definitely prevent you from continuously sneezing in the morning. Tea is one of the foods that help allergies tame because it is a good source of natural antihistamines. Antihistamines are substances that counteract the effects of histamine, making allergy symptoms subside. Are you a fan of Indian curry? Did you know that the yellow-colored spice in your favorite dish is also known for its anti-allergy effects? Curcuma longa or turmeric contains a powerful antioxidant called curcumin which also has anti-inflammatory properties. According to research, this substance has the same effect as other anti-inflammatory drugs but you need to maintain a 1200 mg dose. But you can also have your curcumin in a more and exciting way. Add fresh or dried turmeric to your soup, stews and salad dressings! Cooking collards can really be a challenge. For your body to absorb its nutrients, you need to patiently boil them from 20 minutes to an hour. Collards are just one of the many foods that help allergies go away. Collards contain carotenoids, a phytochemical that eases allergy symptoms. How do you know if your collard is rich with carotenoid? Look at the leaves, the darker they are, the higher carotenoid content it has. Nothing beats a warm bowl of soup for your allergies. Try this recipe developed by an herb expert and have those allergies go away in no time. Boil an onion (do not remove the skin) and a clove of garlic. Boil again for another 3 to 10 minutes. This recipe is one of the foods that help allergies subside, but don’t forget to remove the onion skins before taking your first sip! You may season it with wine vinegar, black pepper, hot pepper, turmeric, curry powder or celery seed, whichever you prefer. Then start enjoying your herb-rich soup while it’s warm. Server responsed at: 04/19/2019 8:57 a.m.